The National Vegetation Classification is supported by a standard that provides the basis for a process for considering, evaluating and acting on proposals. Yet, at all times, a definitive, current list of types will be available. As revisions to hierarchy are made and new descriptions are drafted, the new information will be posted on this web site. The ESA Vegetation Panel will be managing a formal review at each level of the classification. If you are interested in participating in the review process, please contact the USNVC Editor in Chief. In the winter of 2016 the NVC for the Conterminous U.S. was formally released. In the spring of 2017 Ver 2.01 was made available through the USNVC Explorer. In the fall of 2017 NatureServe, the ESA Vegetation Panel and representatives from state and federal agencies based in Alaska will be participate in a workshop focused on a review of the Macgroup and Group levels in the state. While some work in Hawai’i, the Carribean and Pacific Islands has been done, additional classification work and review is needed. The process for managing the NVC as a dynamic standard includes a peer review process and open access for anyone interested to submit a proposal for consideration. 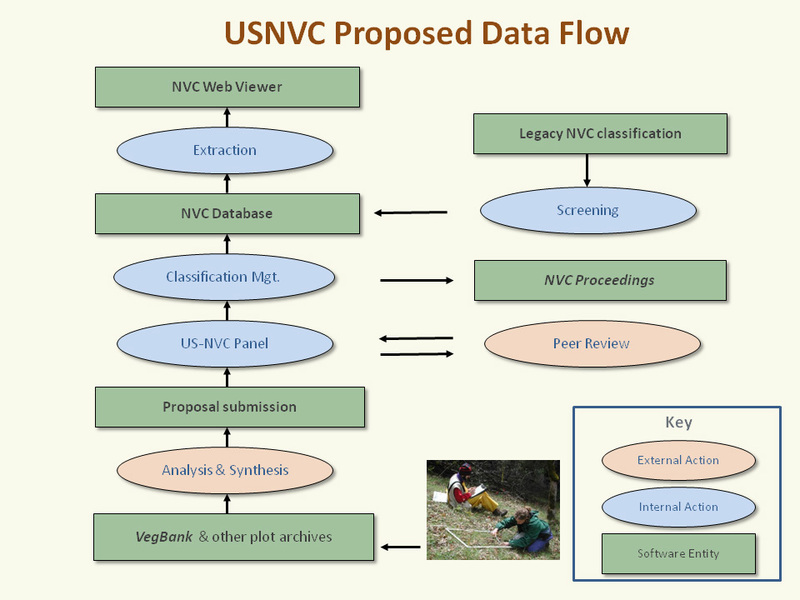 Figure 1 shows the proposed data flow for managing the USNVC. With the initial content of the hierarchy in place, the ESA Panel on Vegetation Classification is responsible for managing the peer review and publication of the Proceedings of the NVC. When a proposal for changes to the NVC are received, the Editor-In-Chief will oversee the work of regional peer review board to conduct the peer review.